Despite the best efforts of people who think Reefer Madness is a documentary, marijuana is becoming increasingly normalized in the United States and beyond. At this point, legalization in America seems inevitable as more and more people realize weed doesn’t cause users to go insane and spark a series of unfortunate events that ends with someone jumping out of the window (unless it’s laced with angel dust). The good people of Canada finally realized it might be time to take a more rational approach to weed when they voted to make it legal across the country starting this fall. Plenty of entrepreneurs have kicked their minds into high gear in an attempt to take advantage of the emerging market— including one company that’s created a one-of-a-kind product that’ll take you to a pretty fun place. According to The Guardian, Province Brand is the first ever company to brew a “beer” made entirely from cannabis (it harnesses the stalk, roots, and other parts of the plant that are typically discarded). While companies like Lagunitas have dreamed up beers with a similar concept, all of those previous products have been brewed traditionally with malt and hopes. The major difference here is that Province’s product contains barely any alcohol but each bottle packs a punch of 6.5 mg of THC (which means you probably don’t want to crush a six-pack in one sitting unless you’re a seasoned veteran). If you’re not able to make the trip up north to try this remember you can always make a bootleg version by adding a few drops of THC tincture to an earthy IPA. The latest robots out of MIT are small enough to float “indefinitely” in the air. Researchers accomplished the feat by attaching 2D electronics to colloids — tiny particles measuring around one-billionth to one-millionth of a meter. All told, the devices are roughly the size of a human egg cell. What’s more, the addition of photodiode semiconductors means the tiny individual systems are able to to be self-powered, without the need for a battery. The system converts light into a small electrical charge that’s enough to keep the device’s on-board environmental sensors running, while storing on-board information. As to what these tiny robots are actually good for, MIT plans to send them into hard to reach spots to monitor environments. The two at the top of the list are pipelines and the human body — so, two very different kinds of plumbing systems, really. Basically you send it in one end and retrieve it on the other — which, again, means…different things in different systems. Once retrieved, information collected by the sensors can be downloaded off the system and analyzed. Leveraging robotics to undertake dangerous missions has obvious benefits for mankind, and space travel is no exception. In 2011, NASA sent its dexterous assistant ‘Robonaut 2‘ on a trip to the International Space Station (ISS) with the objective of working alongside presiding astronauts. Now a “source in the rocket and space industry” tells RIA Novosti that a Russian android duo could be following suit as early as next year. According to Defense One, the FEDOR androids will, in an unprecedented move, fly on the unmanned Soyuz spacecraft not as cargo, but as crew members. The Roscosmos space agency has reportedly given the flight its preliminary approval. We’ve reached out for further confirmation on this front. FEDOR, an abbreviation of Final Experimental Demonstration Object Research, refers to a 2014 program that aimed to create a robot capable of replacing humans during high-risk scenarios such as rescue missions. The androids have been endowed with a number of abilities, including driving, push-ups, lifting weights, and, you guessed it, shooting. Former Deputy PM Dmitry Rogozin then had to deny Russia was “creating a terminator”. With rapid developments in the AI arena, the question of whether it will be used for destructive or benevolent purposes is always on the table, but Rogozin assured that FEDOR would have “great practical significance in various fields.” Backing up those comments is CNA associate research analyst Samuel Bendett, who points out that despite its military-ready build, FEDOR was designed to function in space from the beginning. One of the biggest challenges in tapping millimeter waves (mmWaves) for 5G is overcoming signal interference. Because they’re easily disrupted by something as simple as someone walking in between a transmitter and receiver, mmWaves require technological finesse to be harnessed reliably. To that end, Qualcomm today unveiled what it says is the world’s “first fully-integrated 5G NR mmWave and sub-6 GHz RF modules for smartphones and other mobile devices.” These are the QTM052 mmWave antenna module family and the QPM56xx sub-6 GHz radio frequency (RF) module, and they’ll pair with the company’s previously announced Snapdragon X50 5G modem — making next-gen phone networks a reality very soon. If you recall, a bunch of major smartphone makers, including Samsung, LG, Sony, HTC and Xiaomi already said they’ll be working with Qualcomm, and most of them commited to delivering X50-powered phones by the first half of 2019. Those devices will likely use the new antenna and RF modules announced today. Qualcomm told Engadget it has already shipped samples out to its device partners, and will be working with them to figure out the best placement to minimize signal interference due to hand blocking. 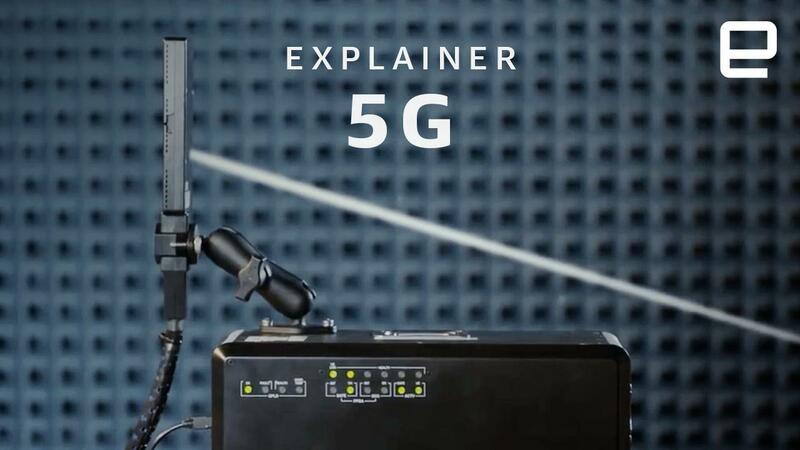 According to the company’s statement, “a working mobile mmWave solution … was previously thought unattainable.” Now, however, Qualcomm said it is “ready for large scale commercialization,” which means we are that much closer to seeing 5G devices in the real world soon. There’s still a way to go before next year’s deadline, and in the meantime, carriers are racing to get their 5G networks ready. It won’t be too long till we’re all livestreaming our favorite shows in 4K VR wherever we go and buffering time becomes a thing of the past, so treasure the mental breaks while you still have them. I am one of only six people in space, on the outpost of humanity, the International Space Station ISS, 400 kilometers above sea level. 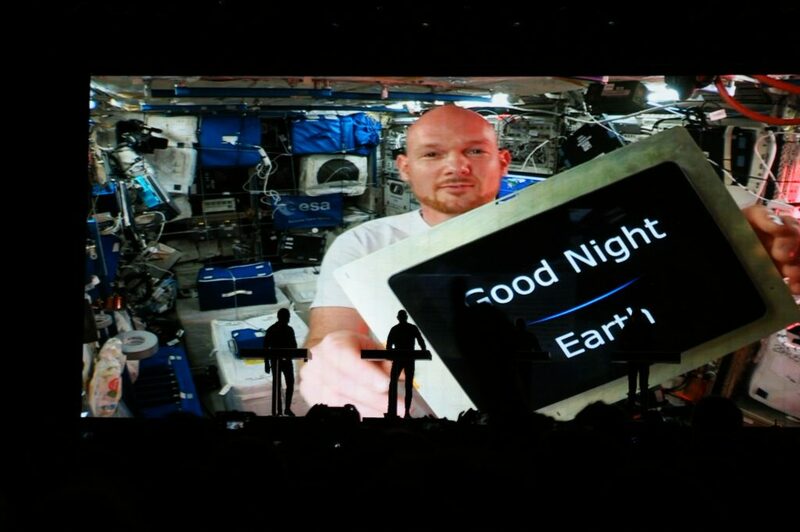 The ISS is a Man Machine – the most complex and valuable machine humankind has ever built. Here in the European Columbus laboratory, the successor to the Spacelab, the European Space Agency ESA is researching things that will improve daily life on Earth. More than 100 different nations work together peacefully here and achieve things that a single nation could never achieve. We are developing technologies on board the ISS to grow beyond our current horizons and prepare to take further steps into space, to the Moon and Mars. The app is Lemur, the landmark touch control app, with another soft synth behind it making the sound. Plus if you’ve seen The Martian, the character of Alex Vogel draws some elements from the real-life Dr. Gerst. Kraftwerk of course had their own track “Spacelab” (1978). The name comes from a research laboratory developed in the 1970s as a joint project between NASA and European Space agency predecessor ESRO. ESA tells us that the environment Commander Gerst is in now, ESA’s Columbus laboratory module, is a direct descendant of that project. It’s a massive 75 cubic meters (well, massive when you’re launching that into space), packed with research equipment handling space science, Earth observation and technology, materials science, and more. Gerst had a special tailor-made suite of software created for him on that iPad. And so what you get is a convergence of science and culture, all in the European sphere.